An ice house creates a great environment for the passionate angler. Whether you like to fish in Wisconsin, Alaska, or anywhere else in the US, our team can help with your ice house insurance. An “ice house” is generally a trailer or 5th wheel that has fishing holes in the bottom. What could be better than being in the comfort of your trailer while enjoying a great day at your favorite fishing whole. Like any trailer, these are an investment, and it is important to protect it. 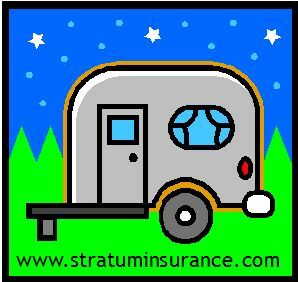 We can help find you the coverage you are seeking for your trailer. Same day quotes are available in most locations. Why buy a separate ice house insurance policy instead of adding it to your auto policy? When adding a trailer or RV to an auto policy, many of the additional coverages from a stand-alone policy may not be available. Keep in mind that if you purchase a new ice house, you should consider replacement cost coverage, which is often not available when adding a trailer/RV or ice house to an auto policy. Do you need to add another Motorcycle / ATV / UTV / Side By Side / Trike? Do you want to send us a picture of your awesome ride? You can include it here.